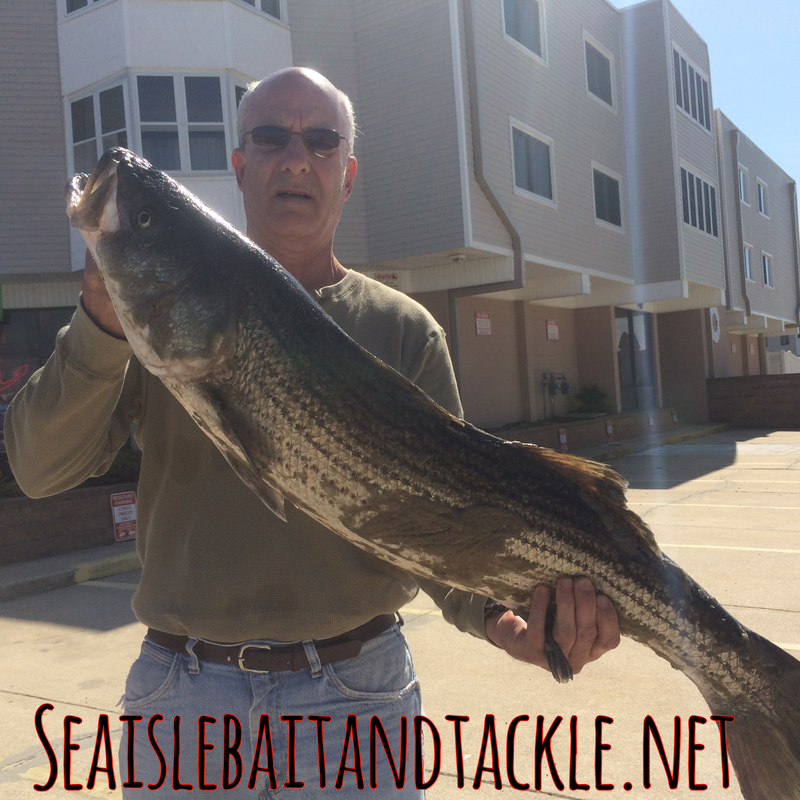 Ted just stopped in to show off this nice drum he caught off the beach using clam. The surf was productive to day with some drum some stripers a couple blues, king fish and blow fish. To marrow looks like a great day so take your Mom fishing. 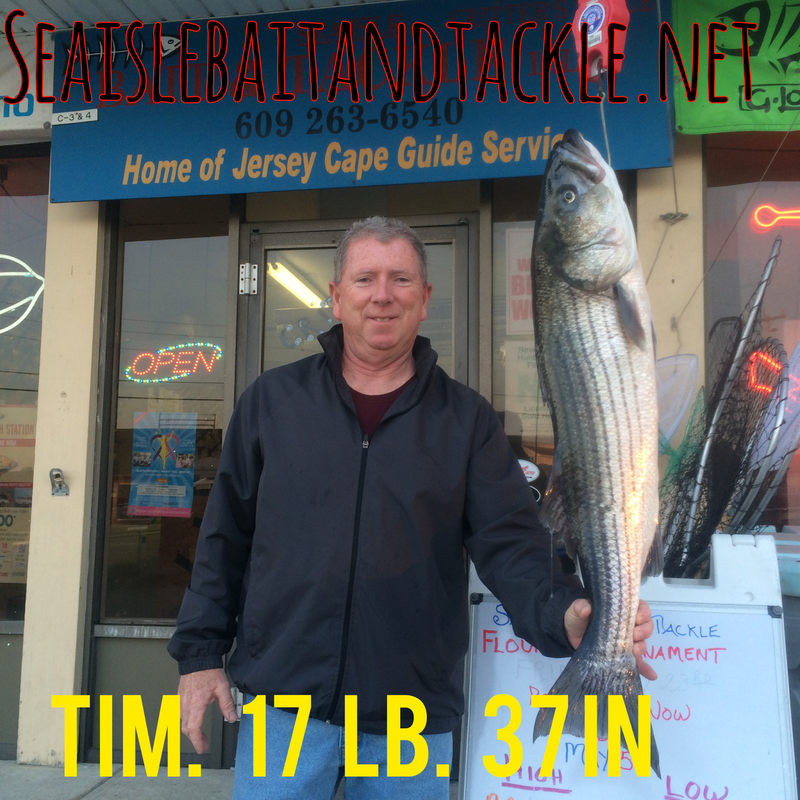 Hear is Rich with another weigh in and this one is a little bigger 17.75 pounds and 35 inches. The bass are really starting to chew. The other good thing he reported was a bunch of good size blow fish in the surf. If you have never eaten blow fish you are missing out they may be my favored fish to eat and the kids love catching them. 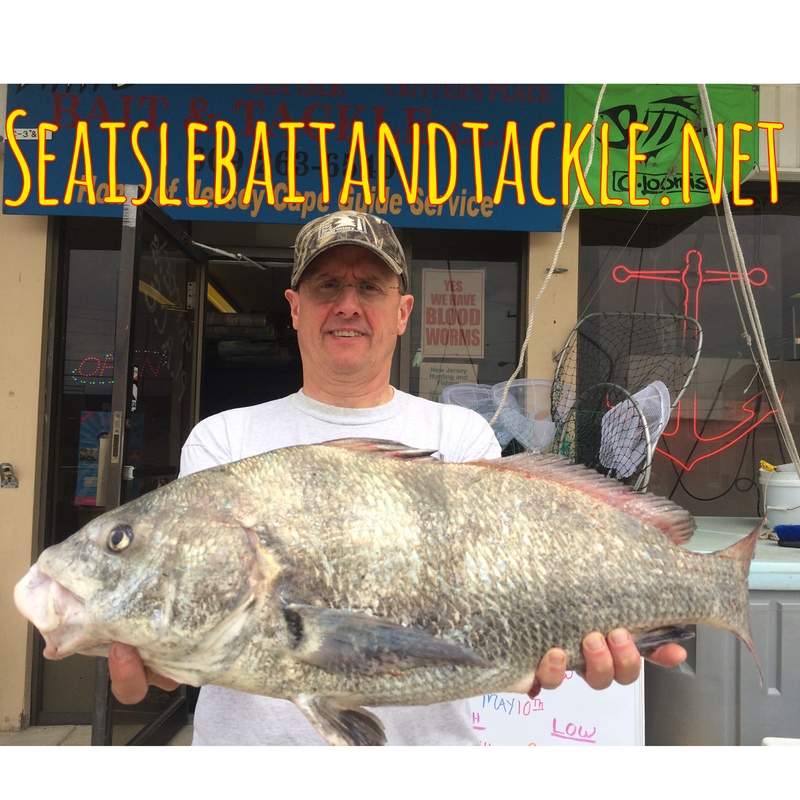 Hay every one if you are looking for a group charter check out Atlantus charters write hear is Sea Isle City, The Atlantus captain's and crew specialize in inshore and offshore wreck diving and wreck fishing. The Atlantus offers exceptional offshore fishing opportunities for large sharks (Mako, Thrasher, Blue sharks, etc) as well as reasonable rates for Canyon fishing for pelagic's (Tuna, Mahi-Mahi, Marlin, Swordfish, etc.). We can accommodate small to medium size groups for a variety of special occasions such as bachelor parties, bachelorette parties, birthdays, retirement parties, funerals and much more. 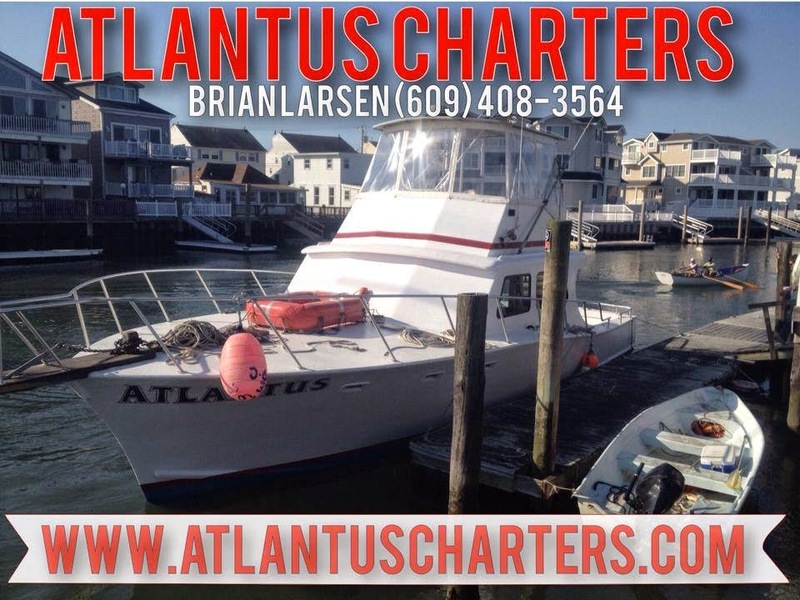 The Atlantus is a 44 foot long custom built sport fishing boat with twin diesel engines. She is Coast Guard Certified for 15 passengers. 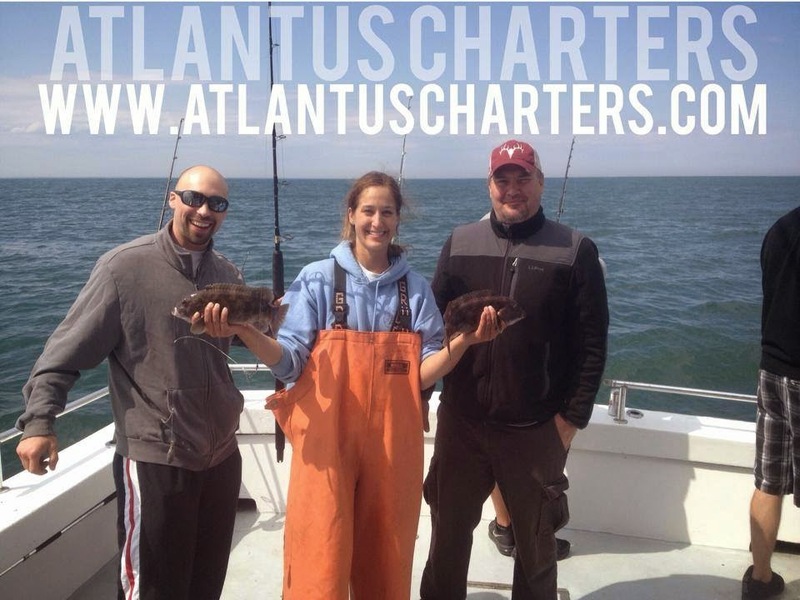 Atlantus Charters offers the latest in electronics, custom built dive ladder & tank racks, all the necessary fishing tackle and rods for both inshore/offshore fishing as well as ample deck space be shore to give Captain Brian Larsen a call or send him an email 609 408 3564 larsen@atlantuscharters.com and defiantly watch there Face book page. 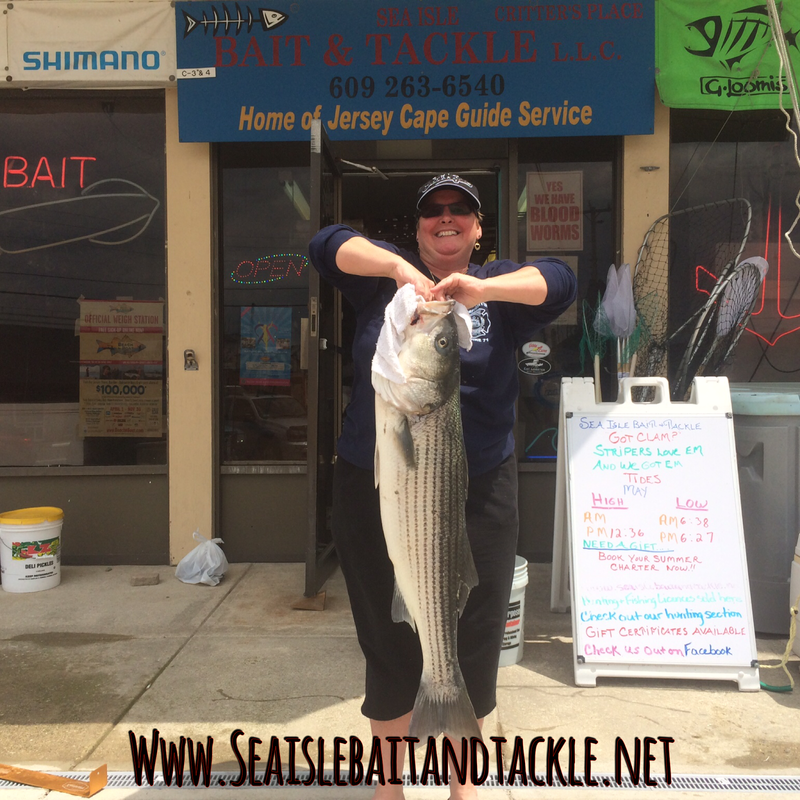 Nick from New Town Square and Sea Isle City was in this morning and picked up a couple of clams shortly after hitting the beach this gorges striper hit he said it was an amazing fight. It tipped the scale at 21.5 pounds and was 39 inches long. Great Job Nick!!!! 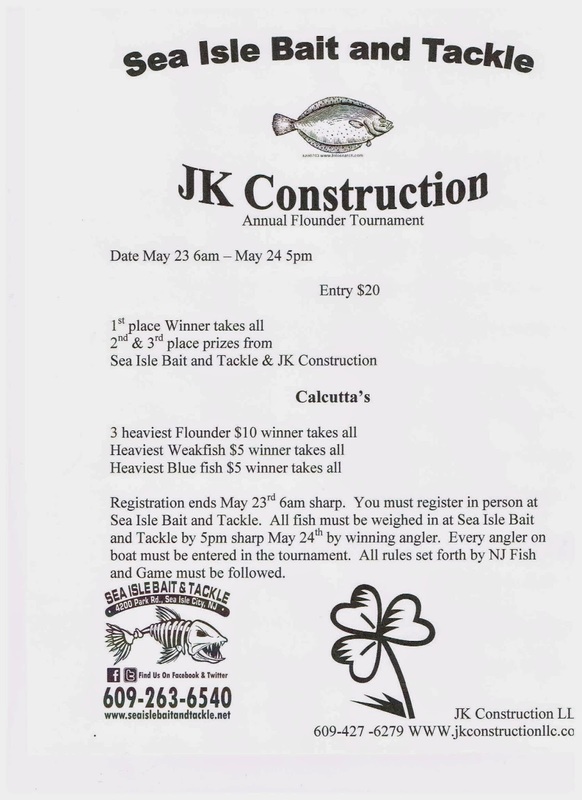 Sea Isle Bait and Tackle’s annul flounder tournament will be a 2 day tournament this year do to the Friday opening taking place May 23 – May 24 5pm. 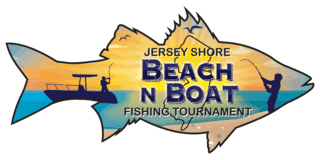 There will be 3 Calcutta divisions this year 3 heaviest flounder for one person, heaviest weakfish and heaviest blue fish. Last years winner won over $2000.00 !!!!! 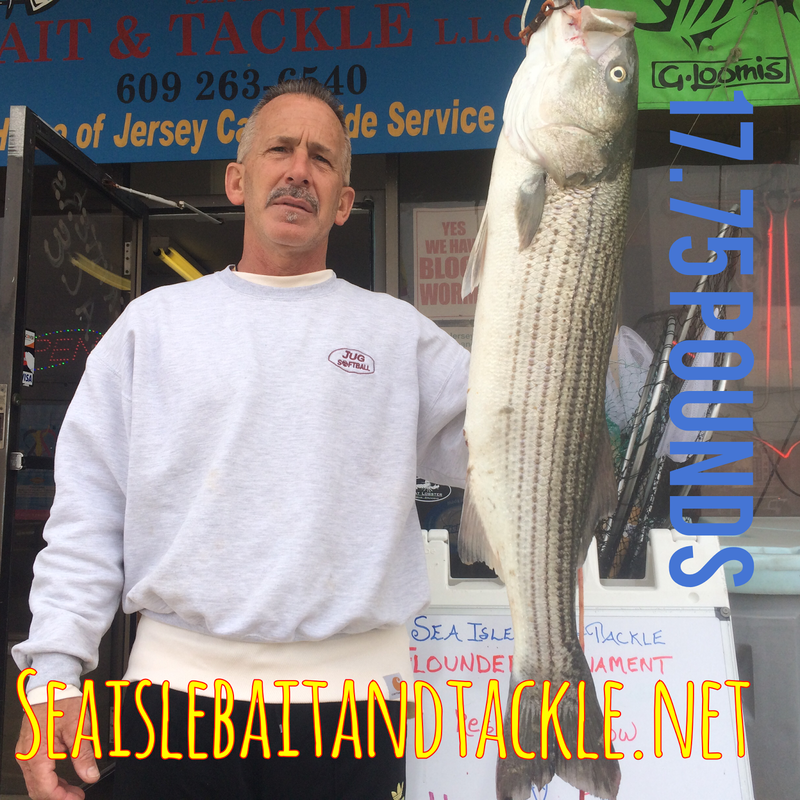 For more information see the attached flyer or email seaislebaitandtackle@gmail.com of call (609) 263 – 6540 Pleas spread the word to get the pot as big as possible. The weak fishing in the bay was off the charts agene yesterday. 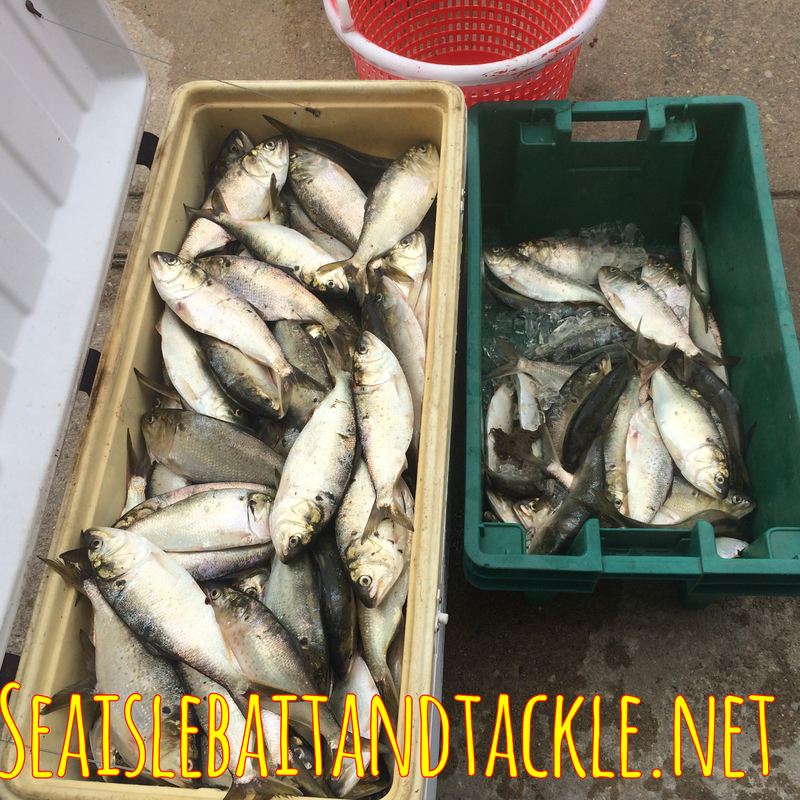 Captain Joe Hughes had weakfish and flounder to 7 pounds and many of them. People get out there we have not seen weak fishing like this in about a Decade. There where stripers in the surf with a couple of keepers and black drum mixed in. Things are really taking off and all week looks to have some nice weather.